Kim Rose has been serving as your State Representative for the 118th Assembly District at the State Capitol since 2011. She is Assistant Majority Whip, Vice Chairman of the Housing Committee and serves on the Select Committee on Veteran’s Affairs and the Internship Committee. She previously served on the Environment, Children’s and Planning & Development Committees. In addition, Representative Rose is a member of the Shoreline Preservation Task Force, a member of the Moderate Caucus, the Sportsman’s Caucus and the Tourism Caucus, the IDD Caucus, and is an appointed member of the Rare Disease Task Force as well Elected as co-chair of the Bipartisan Women’s Caucus. 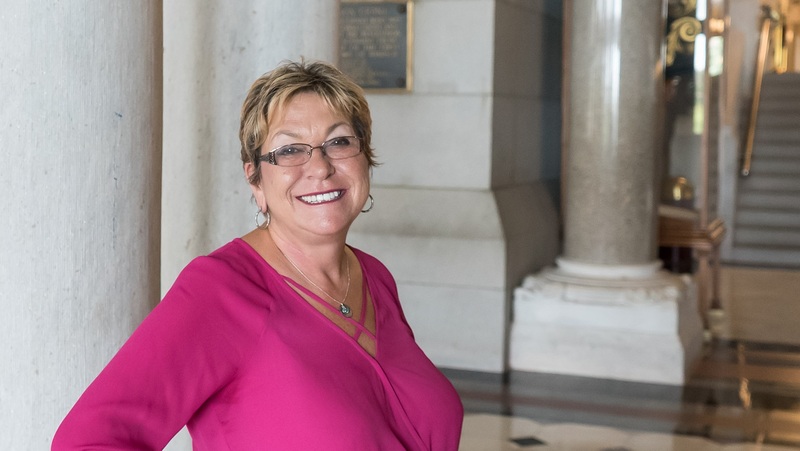 As a State Representative, Kim has fought for Milford by opposing the unnecessary build up of Silver Sands State Park, has led the override of the governor’s veto of the 8-30g statutes, and has voted no on the historic tax increases. She prioritizes environmental protection, women’s equality, reproductive rights, and fair and equal access to opportunity. Kim is a champion for middle class families. Kim has been recognized for her work over the years. In 2018, Kim received an A rating from NARAL Pro-Choice CT, and received the Outstanding Supporter of the Physician Assistant Profession Award from the CT Academy of Physician Assistants. In 2017, Kim was featured as a speaker at NORD’s Rare Disease Day and received a certificate of appreciation. In 2016, Decoding Dyslexia CT awarded Kim for her outstanding dedication in support of students with dyslexia, as she co-sponsored SB 317. That same year, Kim also received a Legislative Citation from the Hartford County Medical Association for her advocacy on behalf of Hartford County physicians and their patients. Kim’s other numerous awards include a Citizenship Award from VFW Post 7788, the Outstanding Performance and Continued Support to Fire Ops 101 award from the Uniformed Professional Firefighters of CT, the Thanks For Giving award from Kids Count of Milford, and an Honorary Chair recognition from the Food Allergy and Anaphylaxis Network for her support of the 2012 FAAN Walk in Connecticut. Kim has been a business owner, and co-founded the Downtown Milford Business Association, where she also served as Vice President. Kim is also a member of the Devon Rotary, Milford Elks Lodge #1589, the American Legion, the Milford Historical Society, the Audubon Society, the Milford Arts Council, The Milford Irish Heritage Society, and the Milford Senior Center and is a Board Member of the Boys and Girls Club. In addition, she is an advisor to the Walnut Beach Association and a past member of the defunct Devon Revitalization Committee.